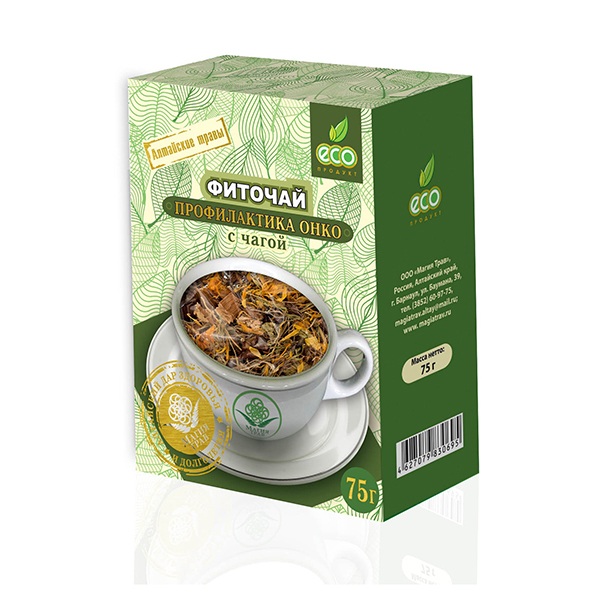 The composition includes chaga, Reishi mushroom which are recommended for the prevention of cancer. The tea helps reduce the impact of risk factors on the human body. 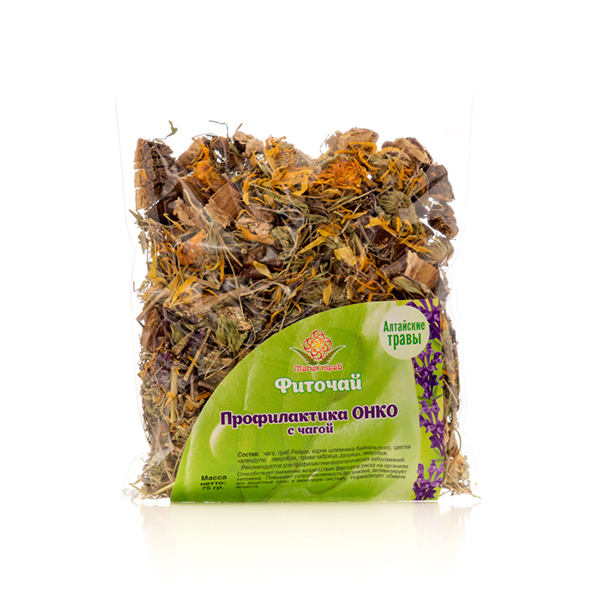 Ingredients: chaga, Reishi mushroom, calendula flowers, roots of Baikal skullcap, St. John's wort, thyme, oregano.